Watching the Radio City Rockettes perform a dazzling array of precision dance routines in their annual Christmas Spectacular show is a tradition many New Yorkers use to welcome the winter season. But how do these leggy ladies spend their off-season and what do they do to maintain their pristine technique, strength, and stamina when they're not on stage? 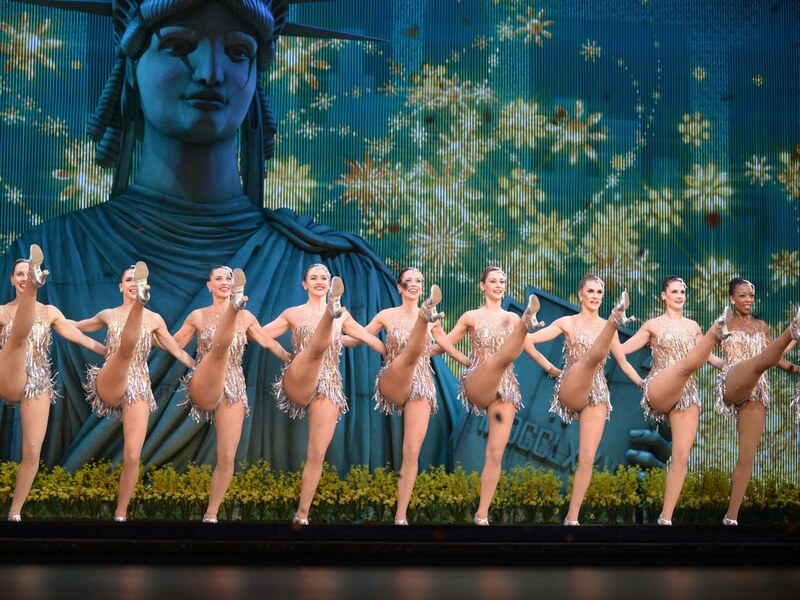 We caught up with the Rockettes a few months before the opening night of the Christmas Spectacular to find out exactly what they do to keep those legendary leg kicks year round. It’s official! Not only are the Rockettes unveiling a brand new summer show this year—titled New York Spectacular Starring the Radio City Rockettes—but they’ve also tapped genius Mia Michaels to choreograph and direct. That’s right: Michaels will be given full creative reign. And after the awesome opening number she created for last year's Spring Spectacular, we’re super excited to see the finished product. "The Rockettes are such a special group of women, and no other dance company in the world delivers the same kind of passion, femininity and power through dance. It is going to be an epic ride!” Michaels says in a Rockettes press release. The show will pay tribute to NYC, following the adventures of a brother and sister who get separated from their parents during a trip to the city. The siblings will make their way through the Big Apple, receiving help from various landmarks come to life—from the Wall Street bull to the George M. Cohan statue in Times Square. A few favorite elements from last year’s spring show will make an appearance this year, too: The 26-foot Statue of Liberty puppet and the jaw-dropping tap number in real rainfall to “Singin’ in the Rain” (sans Derek Hough, unfortunately) will return. What won't be included this time around? The Spring Spectacular's celeb cameos, either in person (à la DHough) or via voiceover. The leggy Rockette ladies will be the stars of the show, which we're more than OK with. The New York Spectacular runs all summer (June 15–August 7) at Radio City Music Hall. Be sure to check it out when you’re in town for Nationals or summer intensives!